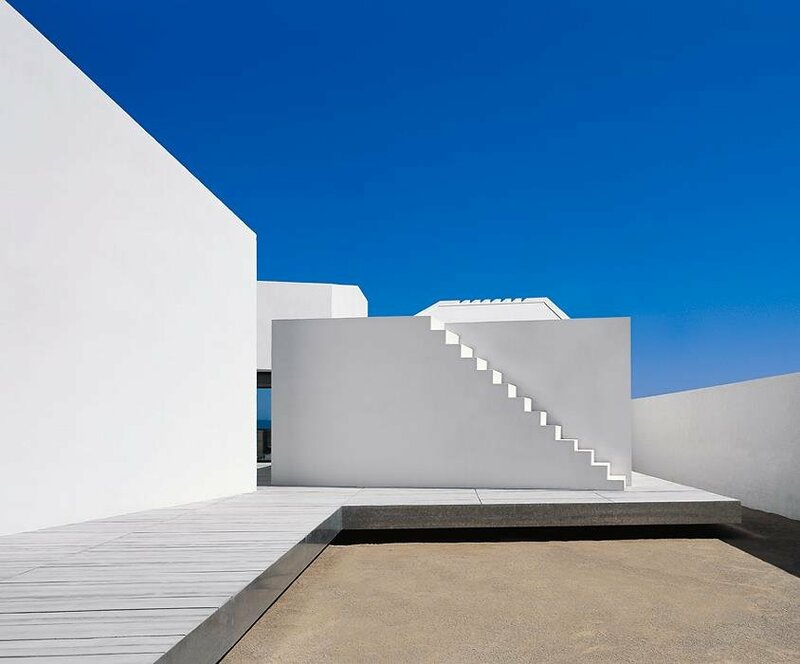 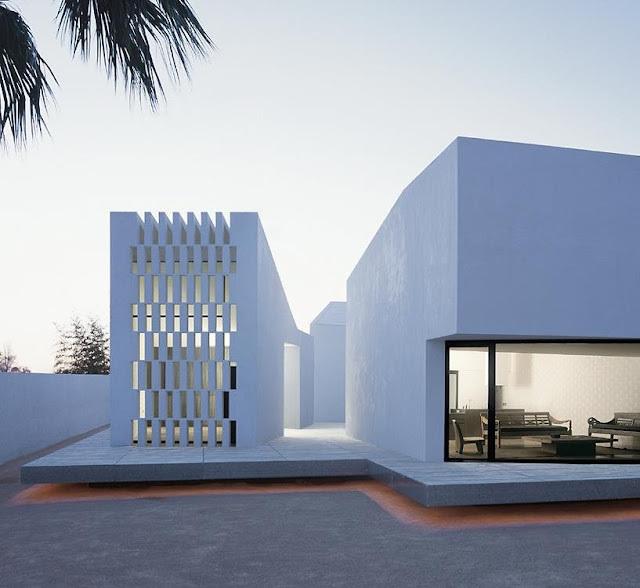 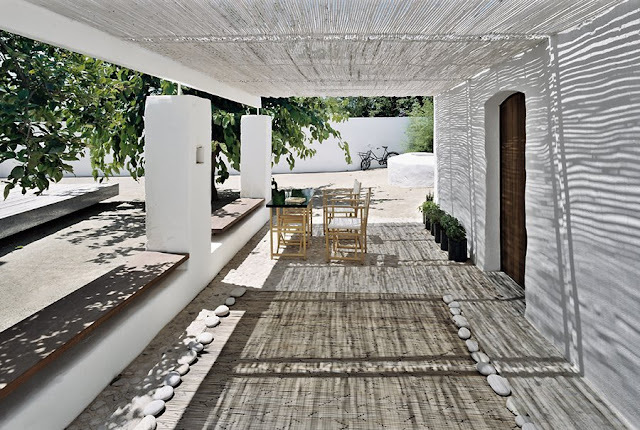 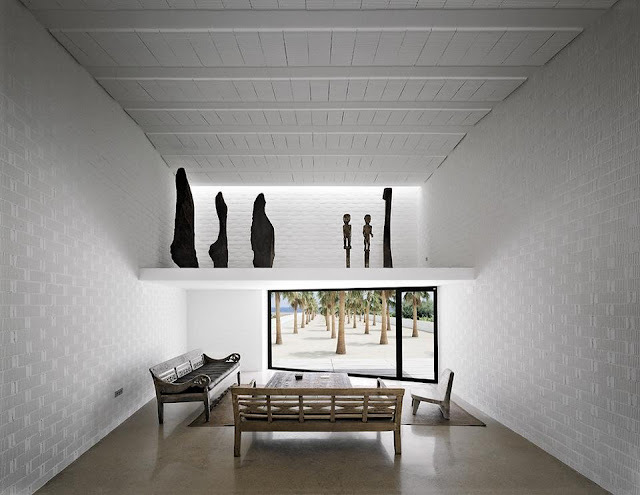 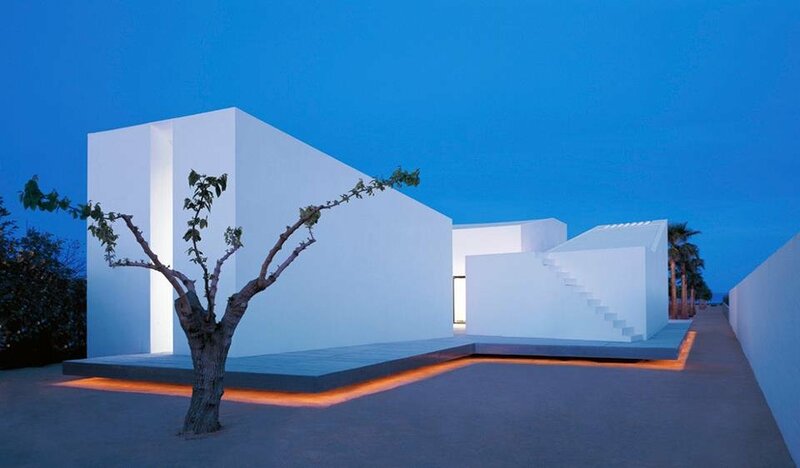 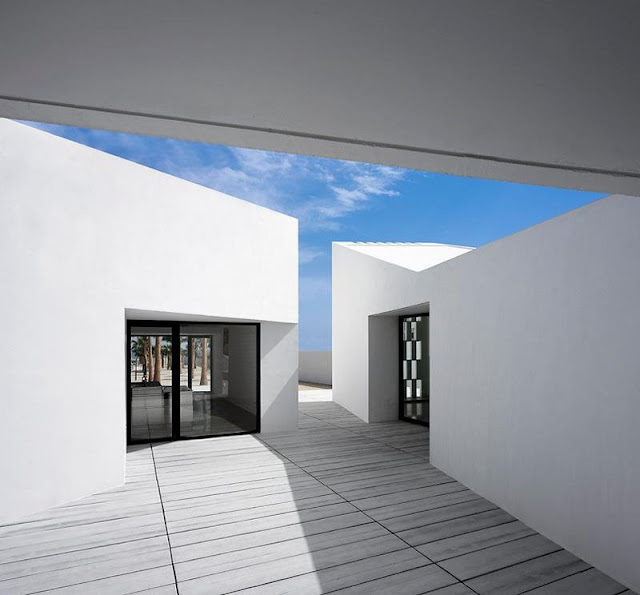 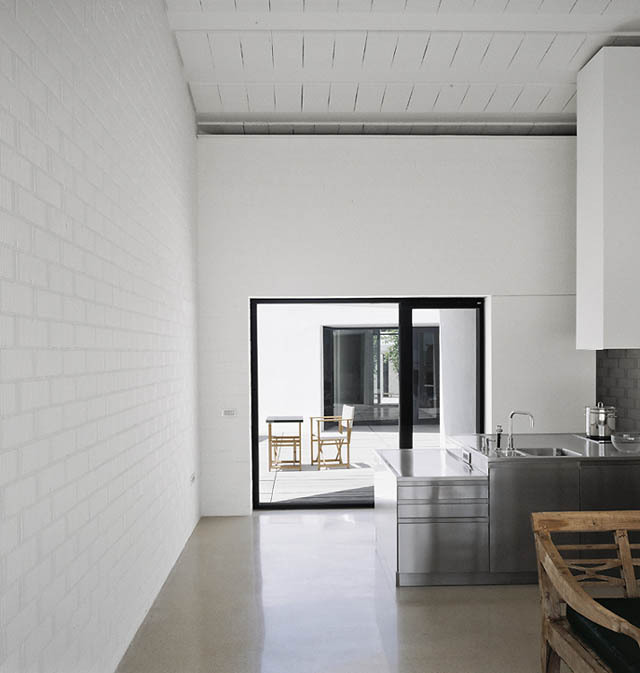 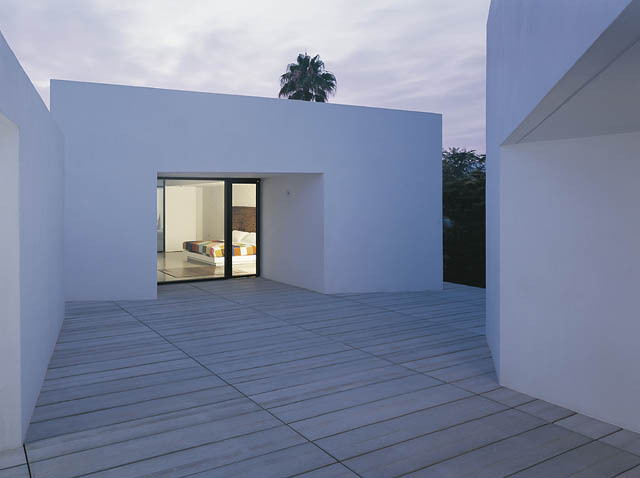 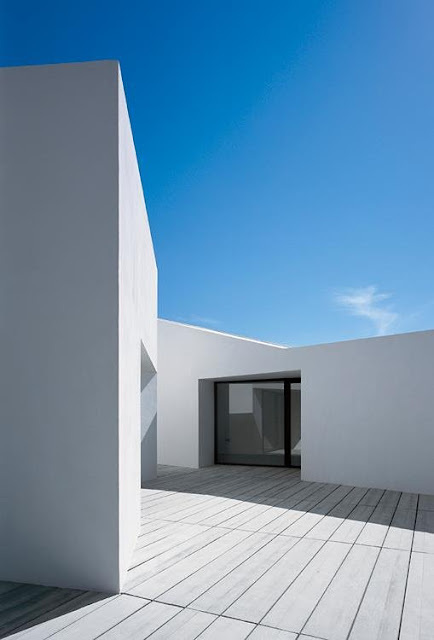 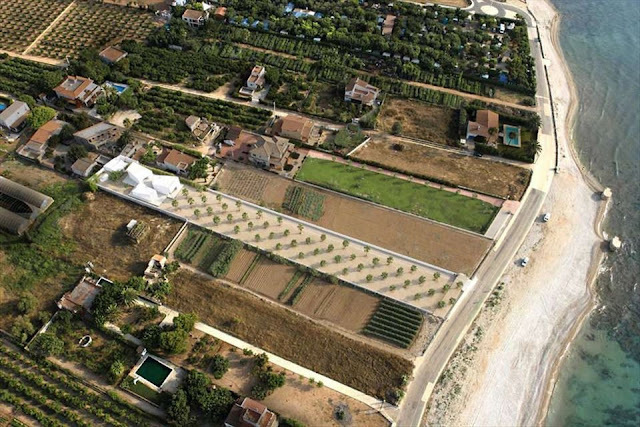 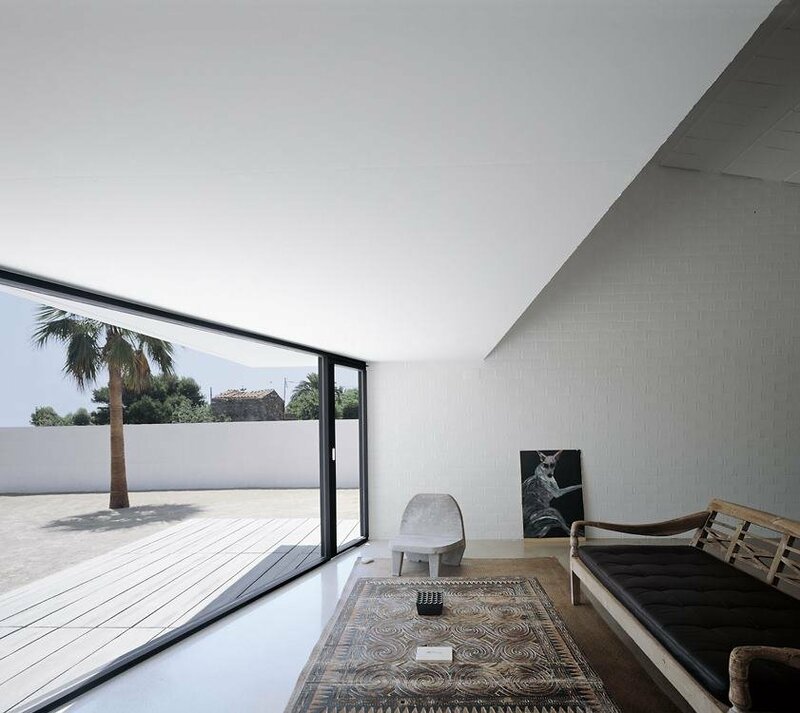 This house by Barcelona based architect Carlos Ferrater is located at the end of a plot in front of the sea, at the area Casas de Alcanar (Tarragona) in Spain. 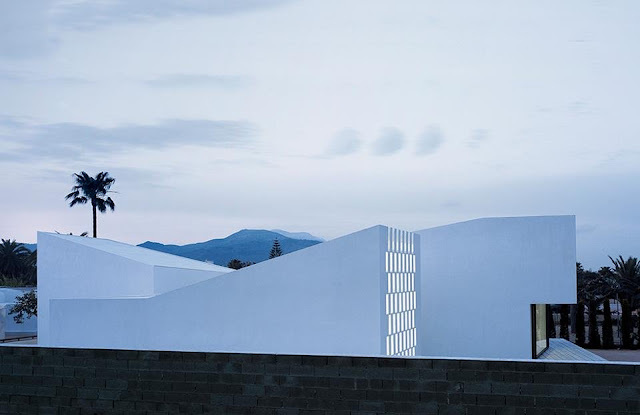 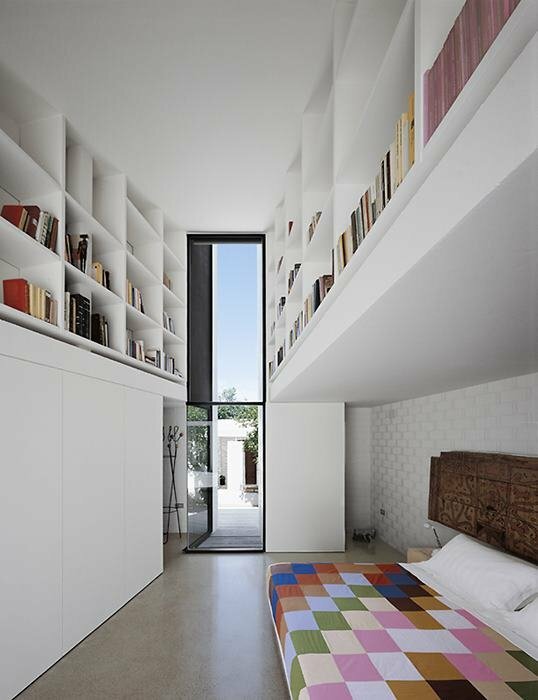 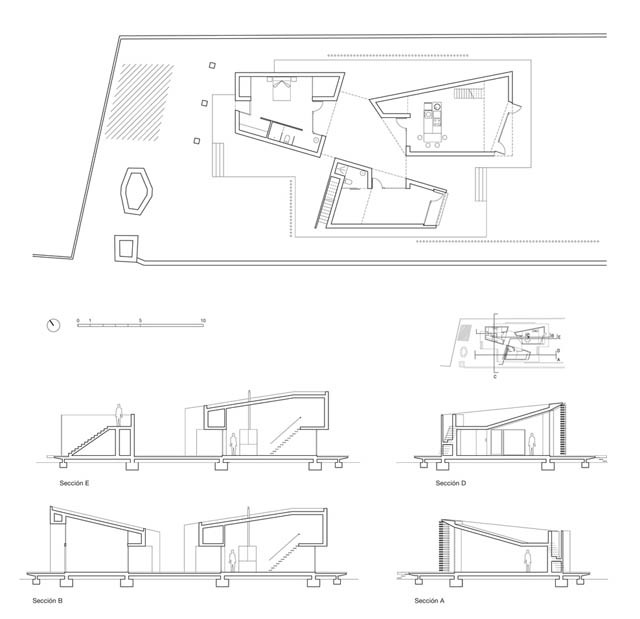 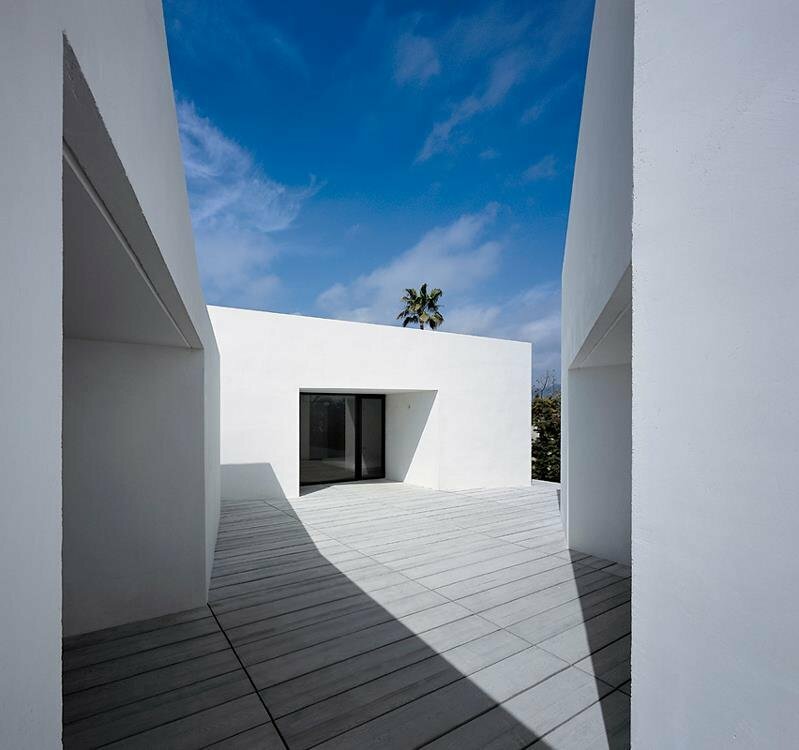 The dwelling is composed in an abstract, sculptural way, consisting of three small buildings, irregular in plan and section, constructed on an elevated platform, due to the frequent floods in the area. 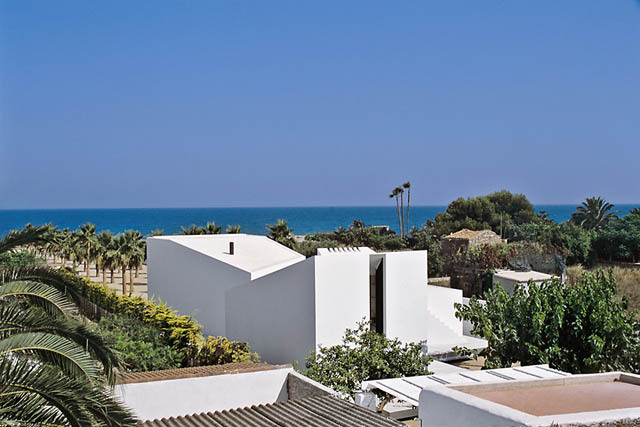 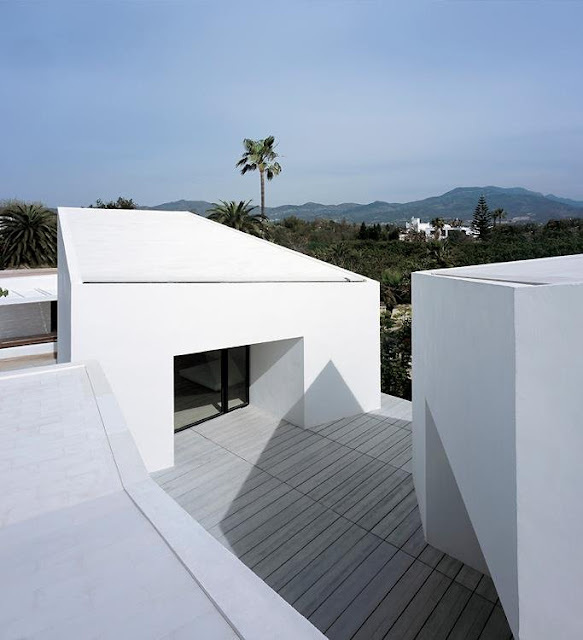 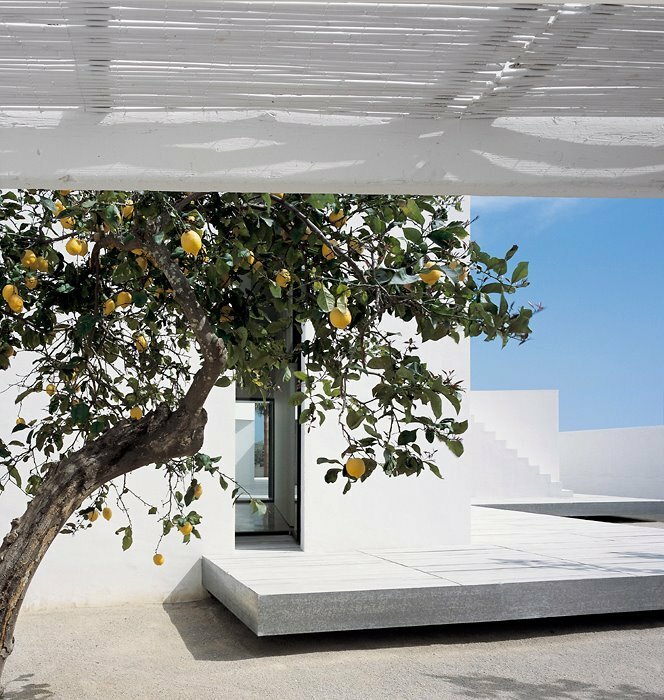 The in between open space that is formed from the position and shape of these built volumes, connects the house and frames the views to the mediterranean landscape and the sea. 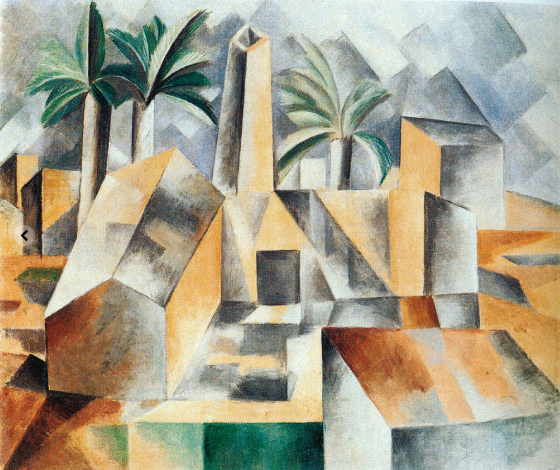 The play on volume decomposition reminds us of the Picasso cubist composition.